When I first read about DNT I thought this will never work. Nothing I read up till your article about its death ever changed my mind. Can we still use Duck-duck-go if we want to look up something and not be tracked? Ive only used it a couple times, but its there if people want it? The discussion about the article Are We Talking about Privacy or Liberty? mentions Startpage as an alternative search engine. The advantage to Startpage is that it uses Google’s search engine without passing end user data to it. Sure. I use DDG every day. It works just fine. And when you still need to use Google you just add !g to your DDG query and you’ll get Google search results without any of your data finding its way back to Google. In fact, I find DDG’s bangs (adding expressions like !g or !imdb to a DDG search query) to be incredibly useful. I will also put your info on our private small Mac forum for all to see. So I should turn DNT OFF on Firefox? I’ve tried DDG and it pretty much sucked when looking for images & maps, so if I use !g will they show up on DDG? If you want images, you can try !i for DDG image search of !gi for Google image search. Can we still use Duck-duck-go if we want to look up something and not be tracked? You will most likely still be tracked when you get to web sites. Search engine tracking is only a small part of the tracking going on. I use Safari to access Facebook and a few other odd things where I don’t want them tracking me. I have purged out all cookies and tracking information about facebook on Firefox and Chrome. So when I get to a site that has a Facebook button on it, they, Facebook, has no idea who I am. So when I open up Facebook in Safari it only knows about what I have done in Facebook. But still there is tracking leakage. Check this out. 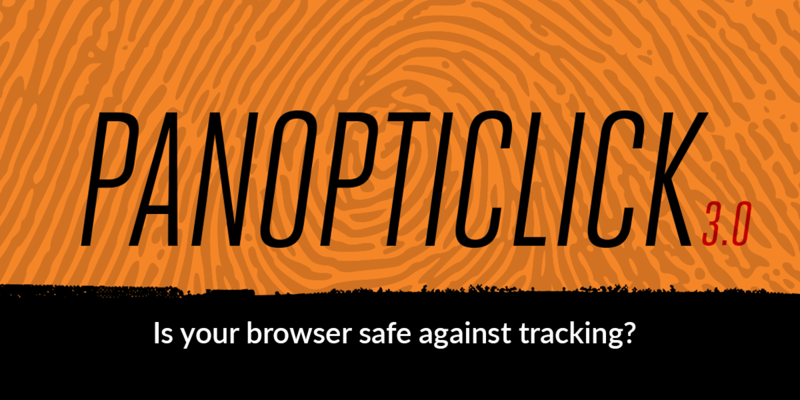 So unless you mange to configure your browser to lie about a lot of details about your setup … THEY WILL TRACK YOU. The only ‘bad’ thing Ive looked up, is trying to put a price on an antique gun we inherited. And some diseases that our dogs could have gotten if we had missed inoculations, which we didn’t. I always lie about birthday and stuff like that on Facebook, and use social media as little as possible. I place homeless dogs, so have to use FB for this. Thank you very much for this link, it really is interesting. Adam, all I get when trying to access Panopticlick is a 504 Gateway Time Out. I get it even when I go direct to eff.org then click on the link under their tools menu. Weird. Try Am I Unique as @raleighthings suggested instead. Same basic principle. 41.80 % of observed browsers are Firefox , as yours. 4.88 % of observed browsers are Firefox 60.0 , as yours. 13.31 % of observed browsers run Mac , as yours. 2.28 % of observed browsers run Mac 10.11 , as yours. 63.92 % of observed browsers have set “en” as their primary language, as yours. 3.28 % of observed browsers have UTC-7 as their timezone, as yours. But only 2 browsers out of the 1066861 observed browsers (0.00 %) have exactly the same fingerprint as yours. So who is your evil twin? Seriously. Now they just check out your IP address (or addresses) and you’re likely nailed. Especially if your evil twin is 2000 miles away. Or on a different continent. Just did a quick test. I’m unique on all 3 of my browsers. Oh, well. I suspect a big part of it is I’m on a Mac Mini with a 1920x1200x24 display. Not sure how my laptops will stack up.